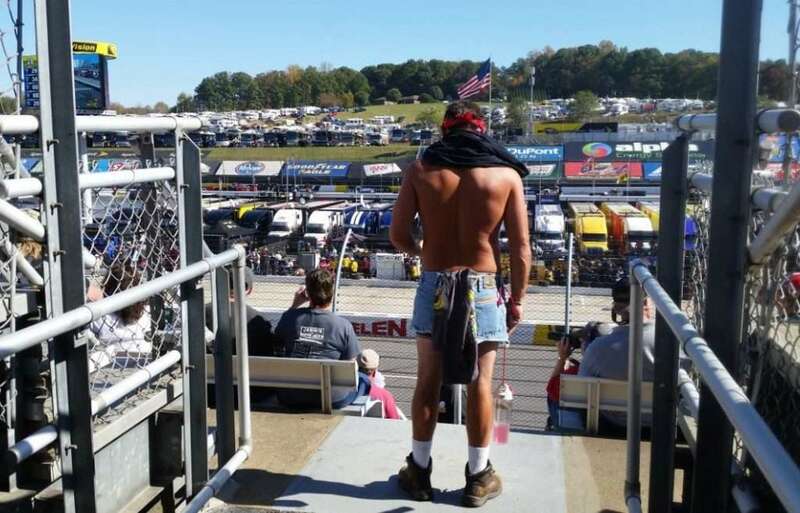 Inadvertently, the above shirtless NASCAR fan, with a canister of what we can safely assume is “Purple Drank,” a southern beverage of choice, dangling from his loins, summed up the entire three-day NET10 Wireless NASCAR event. NET10 — with no contracts, plans starting at $40 a month for unlimited service, and over 100,000 locations — doesn’t care about your past relationships with previous cell phone service carriers. All NET10 cares about is you and your freedom. As America’s largest no-contract cell phone provider, they are all about keeping you #FreedForSpeed to enjoy the most sexually progressive cell phone relationship you’ve ever had in your life. #NSA. 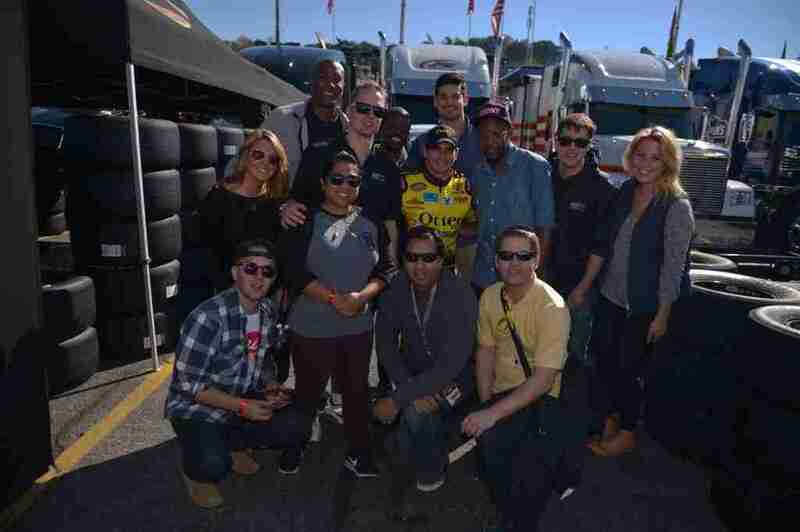 Bullz-Eye spent three days in Charlotte, North Carolina and immersed our senses in the intricacies of both NASCAR and the #FreedForSpeed lifestyle of NET10 Wireless. It was the fastest three days we’ve ever experienced. Within 20 minutes of getting to the hotel, I was in the lobby meeting the group of fellow drivers. 10 minutes later, we headed to Charlotte Motor Speedway to drive a NASCAR under the tutelage of the Richard Petty Driving School. Once we got there, we ate a tremendous lunch. We were fitted with some fire retardant driving suits (Who you calling a retardant?) and met NET10 Wireless Camping World Truck Series driver German Quiroga, who gave us an idea of what to expect on the track. Then, we went through a safety briefing lead by our Crew Chief. It was in-depth and complex, and though appreciated, I zoned out for most of it and dreamed about having the fastest MPH in the class. I slid into the passenger seat of the #1 car for a practice lap with a professional driver to get acclimated. And roughly eight seconds later, when we went from a literal dead stop to 180 MPH, my perception of time and space were altered. Nothing can adequately prepare you for the speed. 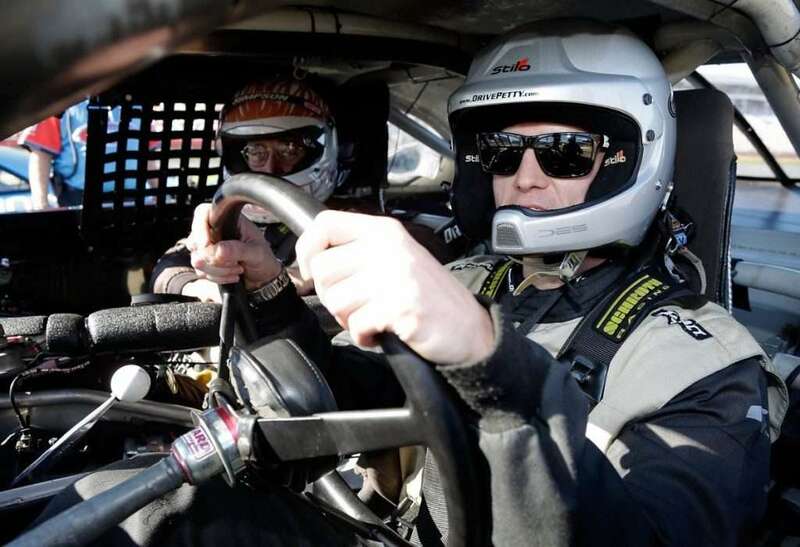 I’ve never felt anything like the sensation of riding in a NASCAR, ever. It was a mix of dizziness, a distorted ability to perceive your surroundings and a feeling of straight-up euphoria. As we accelerated into the first turn, all those feelings intensified thanks to the 45 degree angle of the track coupled with the speed and the G’s exerting themselves onto your chest. All I could do was giggle. It was pure exhilaration, pure happiness. I was totally useless, because all I could do was laugh. The engine is so loud you can barely hear your own voice (or in my case, giggling), and adds to the overall feeling of sensory deprivation. When I got out of the car, a smile was plastered on my face. I couldn’t speak without laughing, even 20 minutes later. And that was before I even drove! It was the most singular physical experience I’ve ever had. Adding to that overall feeling was the danger. Professional drivers get a mere 18 inches from the wall at certain points; so close you could literally reach out and touch it… and have your hand ripped off. But it would’ve been a fair trade. Then, it was my turn to drive. As I went from first to second gear, the car wobbled like it did in my teens the first time I ever drove a manual transmission. But after that, it was all good. While you’re driving (with a professional instructor in the passenger seat who has a microphone that is piped into your helmet so you can hear him), you’re being guided to take a certain “line” all the way around the track. You get “high” on the straightaways (near the wall), then swoop down to the interior lane on a turn. I was amazed at the amount of freedom we were given, and even more amazed by the amount of trust/faith/stupidity the teacher in the passenger seat exhibited. When you’re doing 130 MPH (I like to round up from my single lap high of 126 MPH for posterity) going into a turn, it takes a fair amount of strength to crank the wheel and keep the car on your established line, similar to driving a car with no power steering. What’s really weird in the turns is how your head feels; light, empty. In my case, even more than usual. It takes all your focus to not think about what would happen if you lost control. 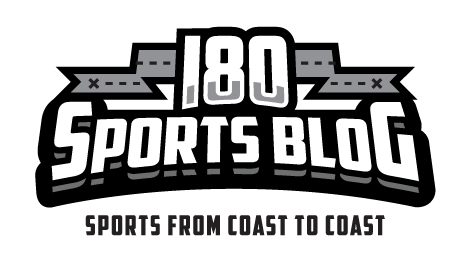 Post driving experience, I interviewed NET10 Wireless Camping World Truck Series driver German Quiroga about not only the fear aspect, but the pressure generated by 30-plus other racers on the track and tens of thousands of spectators in the stands. Then, after a lot of work, it gradually takes shape. 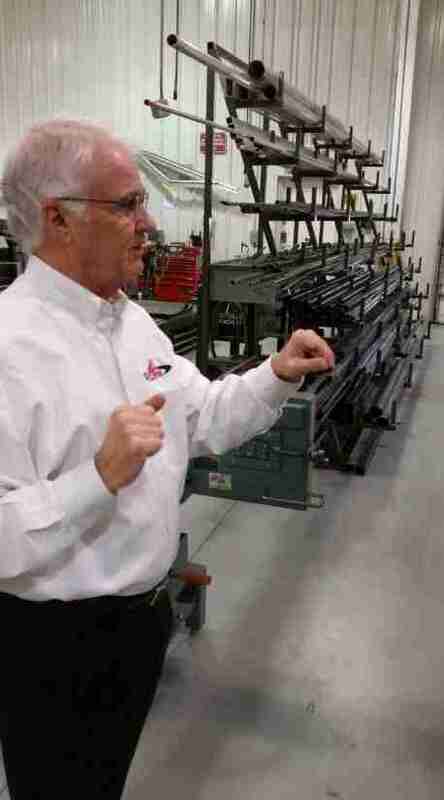 In NASCAR, every detail has been considered, mulled over and calibrated to maximize every tenth of a second. “The little things make the ultimate difference,” said Deloach, multiple times. The way the entire facility was constructed was built with this principle in mind. Everything had a purpose, no wasted movement, and everything was organized and clean. Like Adrian Monk’s apartment. After the tour was completed, we walked across the street to PIT School. Watching NASCAR as barely a novice, I had no appreciation for what goes on in the pits. I’ve used the term “pit stop” in casual conversation for years with no frame of reference. #WhatAnIdiot. The target goal for a pit stop is 13 seconds.The average time it takes to unfasten all five lug nuts is just north of one second, with three tenths of a second allotted per. I can’t even brush my teeth that fast. What can anyone do that fast? Stop that snickering! We also got a history lesson on NASCAR, at which point I fell in love. Did you know NASCAR came into being as the result of bootleggers arguing about whose driver could navigate the terrain down a mountain the fastest and drop off a delivery at a local speakeasy? #ForReal. As NASCAR evolved, and speeds increased, successful teams ditched pit crew members who were there to hang out and smoke cigarettes. Now, racing teams recruit athletes from other sports for tasks as “simple” as pouring gas into the gas tank. The Fuelman, as are all team members, is as important as anyone else. A lost second in the pit can translate into as many as five car lengths over the course of an entire race. Teams will not hesitate to fire anyone who costs them time. There is absolutely no security in this line of work, but there is a six-figure paycheck. After learning about what we were going to undertake, we were split into four teams and assigned a role on that particular pit crew. Actual pit crew members from Red Horse Racing showed us the techniques involved. Again, “little things” were emphasized, and consistently executing technique was conveyed as the deal breaker and true way to attain maximum speed over raw strength or force. We were then given four timed practice runs which were filmed, and after each, our coaches took us back inside and gave pointers on how to increase our speed. Then, the fifth one was a competition with the other teams for all the proverbial marbles. 13 seconds never looked so fast. The winning team finished in 48 seconds. The last place team (I’d hate to use the term “losers,” because I was on that team) came in at 1:03, almost fives times slower than the target. For some perspective, the average 40-yard dash time at the NFL combine is 4.5, so that’s like running the 40 in 21.6 seconds. But man, it was awesome. 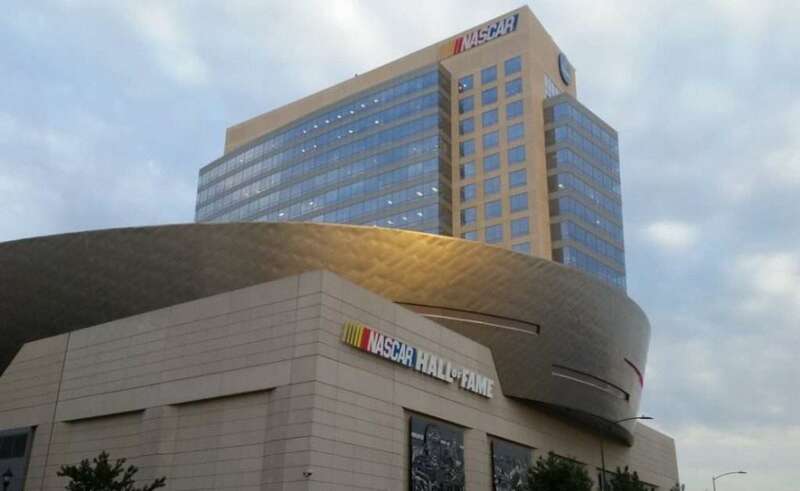 Now that I felt the tinges of love pulling at my heartstrings, what better way to usher in my new love affair than by eating dinner at the NASCAR Hall of Fame? As if there weren’t ample opportunities previously, jumping into the driving simulator after a few drinks proved that I was grossly inadequate as a driver, and in a larger sense, as a man. I assumed the pseudonym “Johnny Danger” and made it to the second round of the tournament where I swiftly finished 8th of 10 drivers. The trip to the NASCAR Hall of Fame ensured that my love was not in vain; that it could fill the void in my heart left by the NFL. As if spending time and driving at the iconic Charlotte Motor Speedway on Day 1 wasn’t enough, we started off Day 3 with a drive to Martinsvile Speedway to watch the NASCAR Camping World Truck Series Kroger 200. You can’t really appreciate a NASCAR event until you’ve actually been to a race, as TV strips away all the good parts, like the “pit lizards,” weird tattoos, strange conversations with strangers and even stranger liquids dripping on you from the grandstand above. 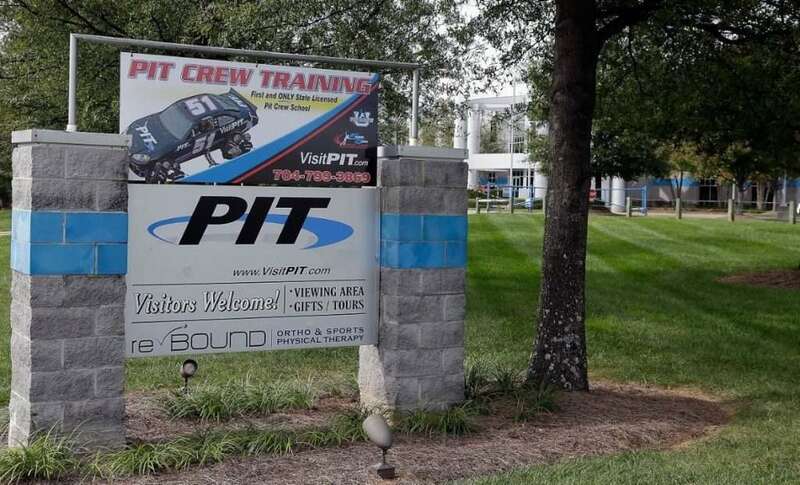 After being at the massive Daytona International Speedway to start the NASCAR season, and then the Atlanta Motor Speedway a few weeks ago, Martinsville Speedway is small. But do you know what isn’t small? The NET10 Wireless coverage area, which is comprised of the four available nationwide wireless networks at half the price. For more information on NET10 Wireless, visit the website. Find them on social media via their Facebook page and Twitter account.